When the revolutionary Dji Phantom 4 Drone came to the market it was a complete game changer. Giving Pilots obstacle avoidance, smart flight modes like “Follow Me”, and “Point of Interest”. 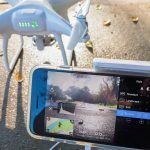 An incredible flight time of 28 minutes, and great quality Video and Photography capabilities, I knew right away this was the perfect drone to capture Aerial Photography in Sacramento. I was fortunate enough to announce the Dji Phantom 4 Aerial Drone for Mike’s Camera. Here in Sacramento this company was the forefront to bringing the Phantom 4 to artists and creative cinematographers in the area. Becoming the worlds most popular professional/consumer Drone, we were able to educate future Pilots on some of the reasons Coruscating Images decided to use this drone. You can read the blog here. 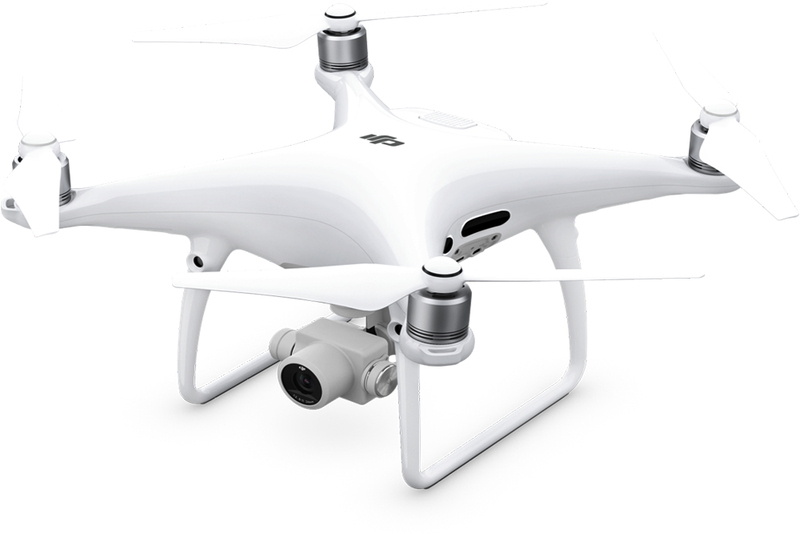 With Dji’s announcement of the Dji Phantom 4 Pro, you can pre order and purchase this amazing Aerial Drone right here at there Downtown Sacramento location. I would like to thank Mike’s Camera for giving me the opportunity to tell others my reasons for beginning an amazing journey using the Phantom 4. My passion for creating expanded when this drone was released. I hope my blogs on products like this give people more guidance on entering the world or Aerial Production. Higher ISO Range to 12,800 for Stills. If you’re someone who is looking to expand your photography or cinematography career, the recent Part 107 (14 CFR) allows you to obtain a commercial license after completing the Aeronautical Knowledge Exam at a local Flight School. Below is my Blog on the FAA Part 107 Blog. You can schedule an Exam for the Part 107 Certificate by calling the CATS Testing Center at 1(800)-947-4228. The exam cost is $150.00, and educates even new or current pilots on important information like Airspace, UAS regulations, and safety. The current Phantom 4 has been an all around workhorse for most of the Aerial projects we work on here at Coruscating Images. The improved 5 direction Obstacle Avoidance system truly makes for a more safe and pleasant flight. 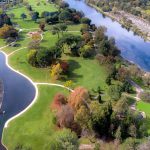 We love brining the best Aerial Photography in Sacramento, a higher resolution camera can only mean more stunning images! Pre-Order the Phantom 4 Pro today! 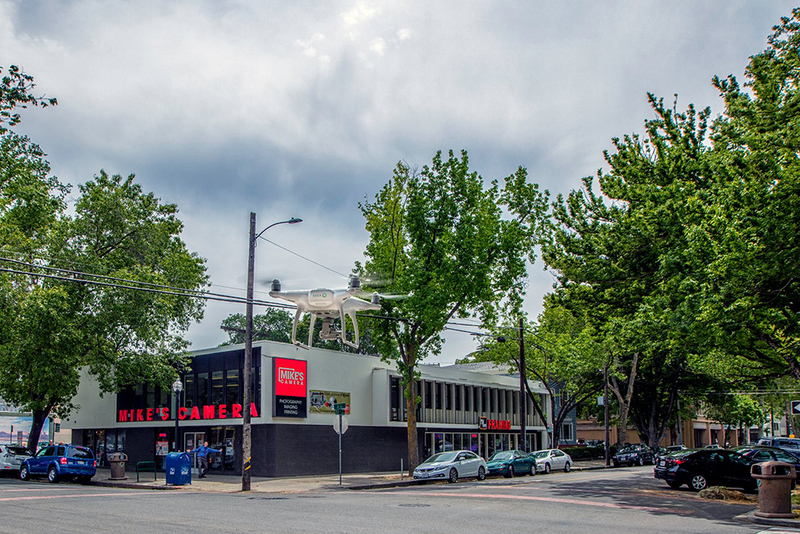 Visit the Mike’s Camera store at 2200 J St in Downtown Sacramento to place your pre order for the Dji Phantom 4 Pro drone. You can also visit their website here. While this new Aerial Drone is a professional tool for every type of situation, other Dji Phantom models may be the right platform for you. Keep a look out for upcoming holiday sales online and in the Downtown location!